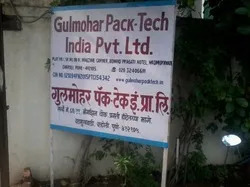 Established in the year 2004, we, Gulmohar Packtech India Private Limited, have surpassed client's expectations by manufacturing, supplying and providing service of an impeccable range of Packaging Products. The product range offered by us which includes Seaworthy Wooden Packaging, One Way Lashing Systems For In-transit Product Safety and Heavy Duty Corrugated Boxes is admired for its reliability, longer functional life and high efficiency. Fabricated using fine grade raw materials, our range are produced according to precise industrial specification. We march ahead with a highly progressive approach aimed at result orientation which is based on business ethics and management techniques. We have created an excellent reputation on the platforms of quality and customer services among our clients through our packaging service in India. In order to ensure the high quality of products, these are developed in compliance with industry standards. 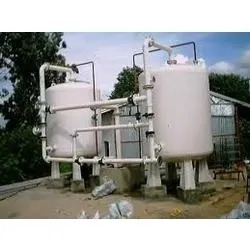 Furthermore, we regularly test these products on various parameters. 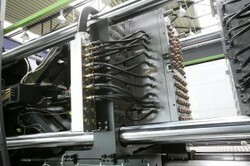 The production takes place at our well-equipped manufacturing unit under the surveillance of the expert professionals. Due to the effective coordination of the logistic experts, we have been able to deliver the finished products at customer's end within the promised time frame. Under the capable leadership of our mentor, Mr. Ankush Patil we have earned an unmatched position in the country and gained massive acceptance of our esteemed customers. Our company is based on the grounds of moral values, principles and ethics. Manufacturing, Trading, Import AND Export of Packaging Material. Our extensive product portfolio has earned us recognition and appreciation in the industry. We are headed by team of expert professionals who are ardently working for the company. Their efforts are worth credit as they are consistently working on improving the quality. With us we have a team of experts who are well versed with the manufacturing process of the lashing system. They very well understand even the intrinsic concepts which hold significant importance in the process. These professional are very experienced and conduct the production activity in well coordinated way. Other then this, we have quality control analysts who check the quality of the lashing system. We even have sales and marketing representatives, who do the market study for us. So as to monitor each activity, we have management and administration personnel. The watch out that all the activities is executed in a systematic manner and coordinated one after the other. 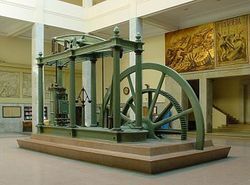 Our products and applications not only help to prevent your product from CORROSION, and also the risk of lost. Click on any individual industry below to know more in-depth on the capabilities of INTERCEPT TECHNOLOGY™ in preventing our clients’ products from CORROSION . Type of Application Protection of a complete car for sea freight shipment Shipment / Storage Details US manufactured car for shipment to EC Industry Sector OEM Previous Problems Shrouds and hoods used previously did not protect for corrosion damages. Full coverage was not possible. After packing car was not accessible. Aerospace part manufacturer in USA (Mass) was moving facilities. One aspect of their packaging process required the use and spraying of an oil preservative, requiring air handling equipment and hoods at every packing station, as well as expensive heat and vacuum sealing equipment. All would be needed for continued use of foil bags (mil-B-131 foil bags). Electronic packaging is a major discipline within the field of electronic engineering, and includes a wide variety of technologies. It refers to enclosures and protective features built into the product itself, and not to shipping containers. It applies both to end products and to components. Electronic Packaging is a leading developer and manufacturer of hermetic housings and other components for the reliable, long-term protection of sensitive electronics. Our core technologies are glass-to-metal and ceramic-to-metal sealing, thermal sensing components as well as a variety of cutting edge specialty glass competences. The Engineering Services Group provides Project Development, Project Management, and Systems Engineering as Part of Our Strategy of providing Total Packaging Solutions. Our Engineering Services staff can assist our customers in the successful execution of their projects. Our staff will assist in scoping the project, procuring the right equipment, and overseeing the installation of the equipment. A more recent Army presentation to the TACOM Corrosion Summit 2003 showed Static Intercept Foil (aka Intercept Poly) significantly outperformed MIL-B-131J foil. Further, TACOM certified that Intercept Technology was compatible with the explosives tested including TNT, HDX, and RDX. Identify customer’s product/s which require protection against CORROSION and/or Electro-Static Discharge (ESD) and study current measures for such protection and their effectiveness. 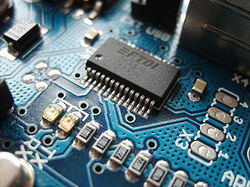 Customers’ image as a source for products consistently free of corrosion and ESD damage. Recommend the most appropriate item/s from the wide array of INTERCEPT TECHNOLOGY ™ products to achieve the objectives listed above. Our Vision is to become world's most dynamic packaging solutions provider company by providing sustainable products. Mission is to achieve profitable growth through superior customer service, innovation, quality and commitment. Comprising production managers, engineers, administrators, quality controllers, sales &marketing personnel, our team of experts forms the strength of our organization. Backed with experienced and talented technicians, our multifaceted team is well versed with every aspect of production and other processes. Specialized in respective domains, our highly pro-active work force assists us in meeting the diversified requirements of our clients. Thus, their dedicated efforts and desire to work as a team have contributed immensely in success of our organization.